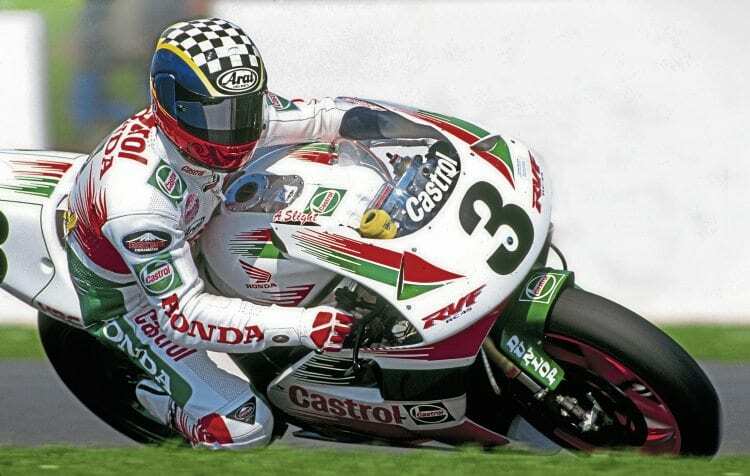 Former World Superbike star Aaron Slight will be guest of honour at the 24th Carole Nash Classic Motorcycle Mechanics Show at Stafford on October 14/15. The New Zealander was as fast and smooth on the track as he was flamboyant and controversial off it, so he should have some entertaining tales to share with show visitors from his 10 years in the series. The show, which majors on the later Japanese and European scene, promises the usual successful mix of countless trade and autojumble stalls, club stands and private entries, together with Bonhams’ auction, the Classic Dirt Bike area, Classic Racer Grand Prix Paddock and live Restoration Theatre. Advance tickets costing £12 adults, £11 seniors and £3 under-12s are already available by going to www.staffordclassicbikeshows.com/october or calling 01507 529529.